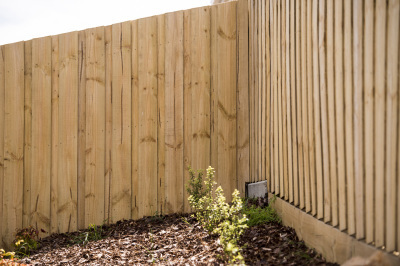 Timberlink Australia produces a range of non-structural landscaping (available in Tasmania and Western Australia) and fencing products (Tasmania and NSW only). All Sleepers are treated with Tan E, a treatment that has no application restrictions and can be used wherever the likelihood of human contact is high, such as children's playgrounds and garden beds. Fencing products treated with Tan E (CCA Palings available in NSW). Cost effective, natural and attractive. Made from Australian plantation pine. Treated to provide protection from decay, rot and termites. 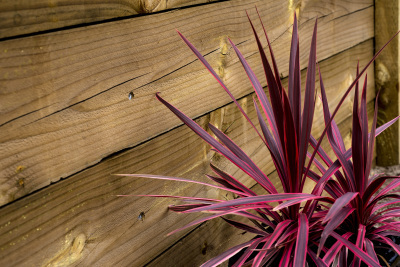 We recommend that all outdoor timber be painted, stained or oiled to maintain optimum serviceability, appearance and dimensional stability. When handling and cutting any timbers it is advisable to wear dust mask, goggles and gloves. ​Do not burn treated timber.